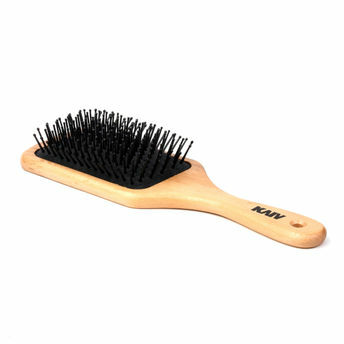 Kaiv Paddle Hair Brush has rounded nylon bristles with stay-put ball-tips that stimulate and add a lasting shine. This is great for smoothing, detangling hair and boosting It's shine and sleekness. It helps to reduce snags and tangles.